For the new generation of its successful product, GROHE has improved all the key functions and features of a good thermostat. Boasting improved technologies for greater safety, efficiency and showering comfort, a new design for an ergonomic shape and an aesthetic water flow as well as a functional tray – Grohtherm 2000 New is a modern solution for the bath tub and the shower both visually and practically. Its elegant, no-frills look will enhance any bathroom decor. 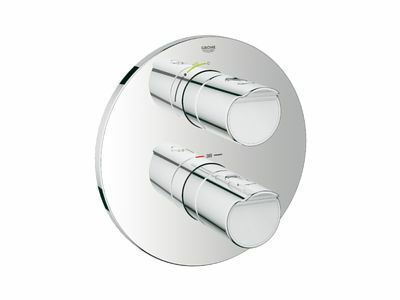 Well thought-out and intuitive, it combines all advantages of a thermostat with a perfect water experience. Instead of the traditional round handles, innovative Aqua Paddles ensure reliable, anti-slip operation for maximum comfort. 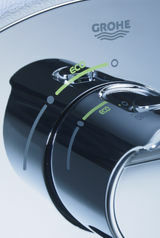 The new GROHE Aquadimmer Eco automatically helps save water when switching from the bath filler to the hand shower. Easily understandable pictograms show the button positions for reduced shower water consumption and for full flow. The XL waterfall for the bath tub is a special eye-catcher. 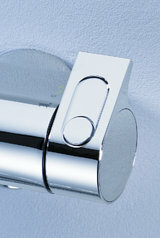 The extra large spout emerges seamlessly from the bath tub mixer and delivers a large, wide water flow. 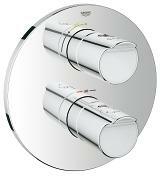 The optional GROHE EasyReach™ shower tray can be placed onto the wall rosettes to close the gap between the thermostat and the wall. 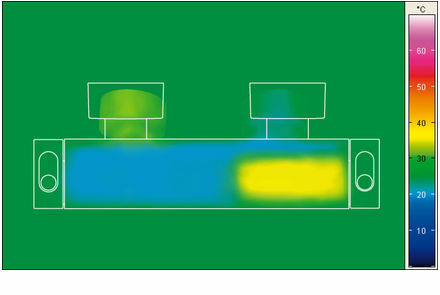 The even surface conceals the connections. 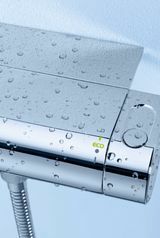 With their identical operating buttons and their anti-slip GROHE ProGrip surface for comfortable operation, the concealed variants are particularly unobtrusive and space-saving thermostat solutions. 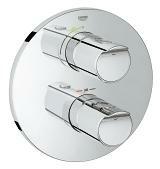 GROHE TurboStat® is at the heart of the new thermostat. 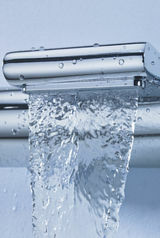 It ensures that the desired water temperature is reached very quickly and kept constant throughout the shower. Increased safety, additional comfort as well as environmental responsibility and sustainability are the main advantages of a thermostat. 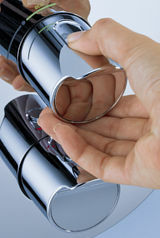 The solid metal housing of the thermostat features 100% GROHE CoolTouch® to rule out the risk of scalding on hot chrome surfaces. 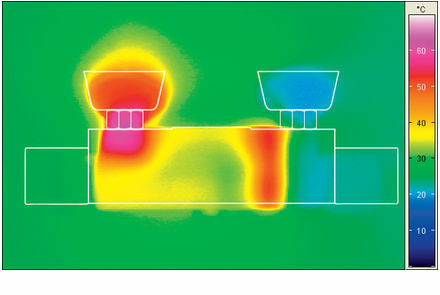 Do you want to touch and feel Grohtherm 2000 New for yourself?